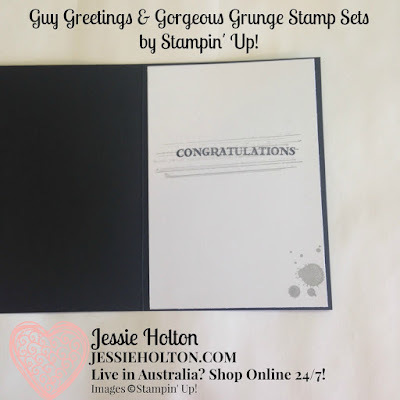 Today I've made up a big bunch of cards using a quarter of a pack of the Urban Underground Designer Series Paper (DSP) along with the Guy Greetings & Gorgeous Grunge stamp sets by Stampin' Up! I have made 24 cards with 1/4 pack of DSP using 3" strips. To be honest, I'm not usually a big fan of Delightful Dijon, but I really love it in this paper/colour combo & I love how these cards have turned out. I have used a 3" strip of DSP for each card, taking the layout from an idea I gave on a previous YouTube video about using the 6x6" paper stacks - rather than cutting the DSP to a full card front & having a small left over strip, cut it all in half & make two 3" card fronts from each page for less wastage & then you don't have to come up with ideas on how to use all those smaller strips! 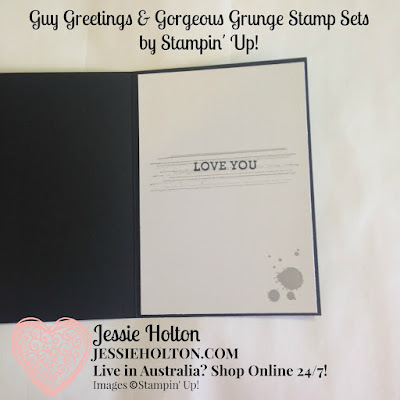 For these cards, I have Silver Heat Embossed the images & sentiments from the Guy Greetings stamp set onto Basic Black Cardstock & cut out with the largest square die from the Stitched Shapes Framelits, adhered to a 2-7/8" square of Silver Foil Cardstock with Dimensionals. 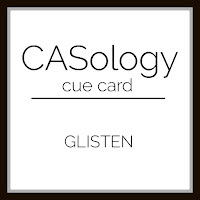 The card base is Basic Black with the 3" strip of Urban Underground DSP placed to the left to leave a black border on the right. If you're really careful, you can get 12 large squares from a sheet of A4 cardstock using the Stitched Shape Framelits. 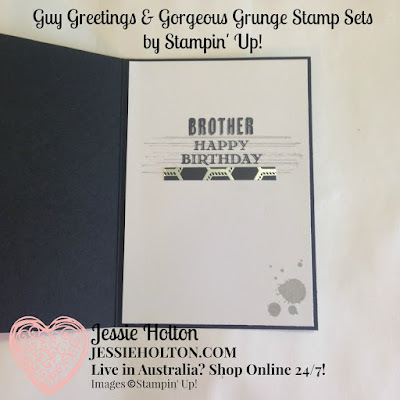 TIP: to get a really great heat embossed image & sentiment, first wipe over the cardstock with the Embossing Buddy & then stamp your sentiment/image using Versamark. 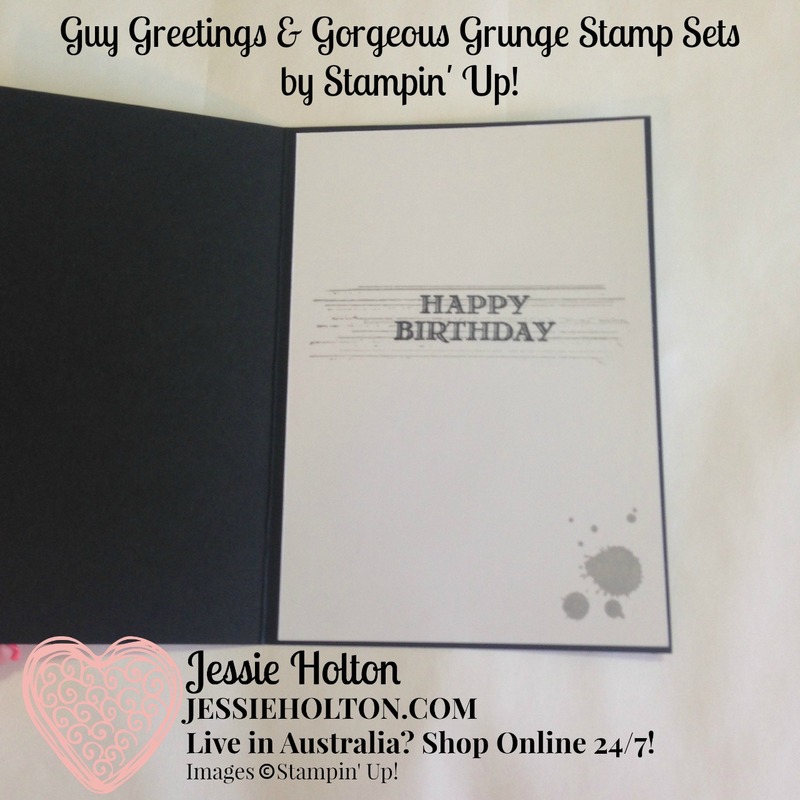 Quickly cover in your choice of colour of Embossing Powder & then set with the Heat Tool. 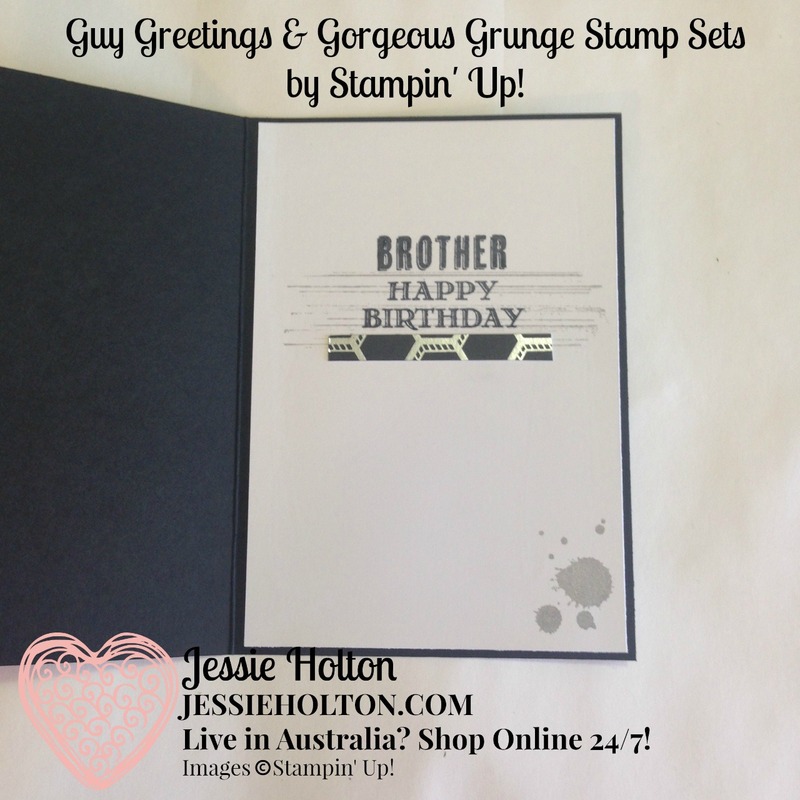 Once cooled, rub the cardstock on a soft, clean piece of material to remove any excess Embossing Buddy powder or Embossing Powder. 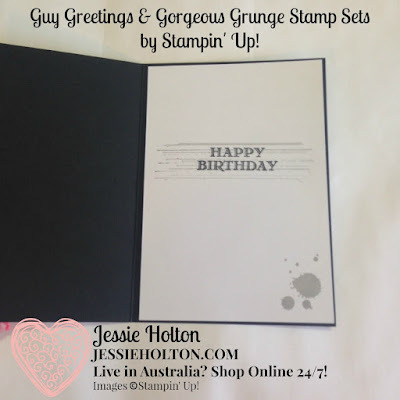 I have mixed up the insides so there are a few of each per design with different sentiments from the Guy Greetings stamp set & I have used two of the Gorgeous Grunge images in Smoky Slate, to match the silver on the front. 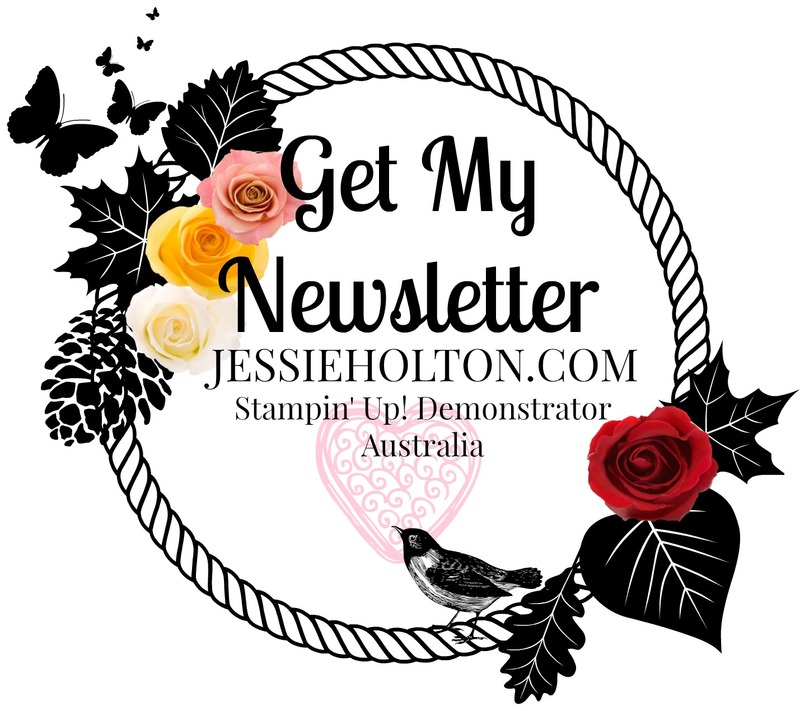 You could also use Basic Gray or Delightful Dijon, which coordinates with the DSP. 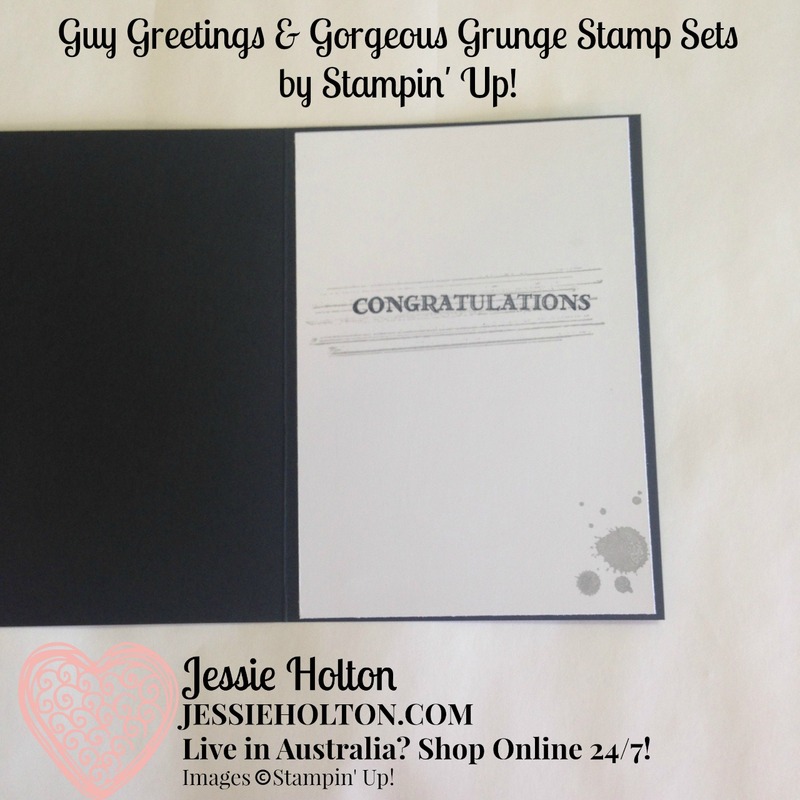 The Love You sentiment is from the Bloomin' Love stamp set. 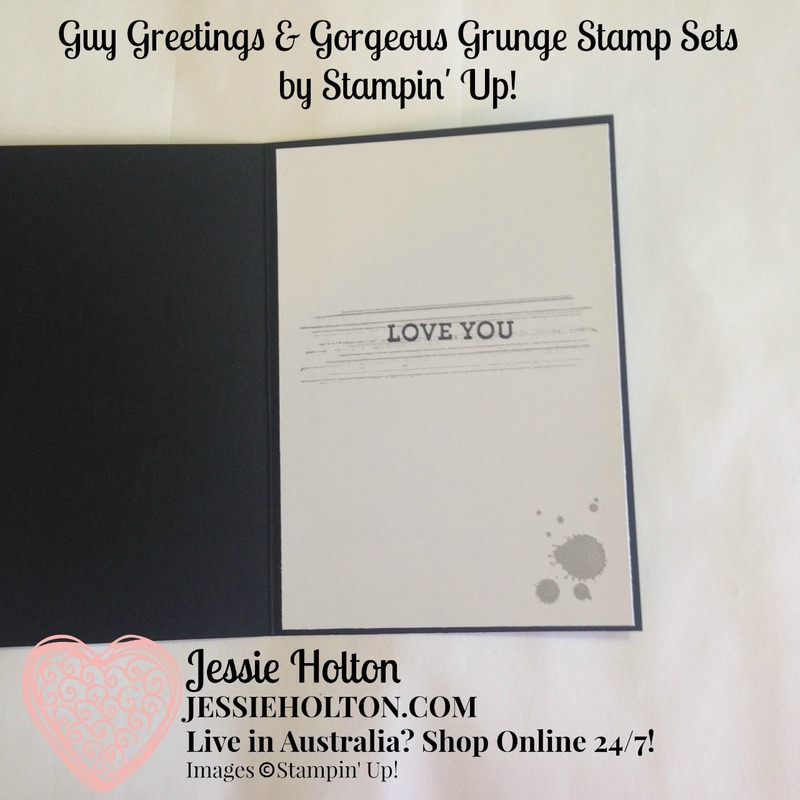 I thought these cards might also make great alternative masculine Valentines or anniversary cards. You can see the lovely edging from the Stitched Shapes Framelits a bit clearer in this picture.